Five-hundred people are trying to figure out what to do next after learning Tuesday their jobs are being eliminated. 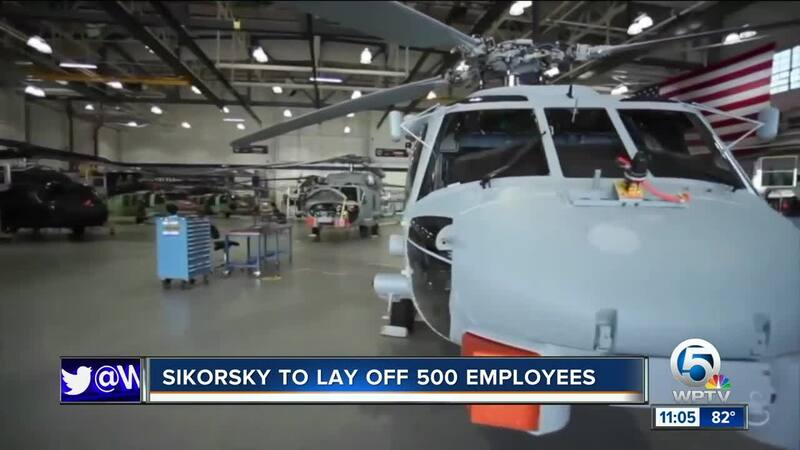 Sikorsky-Lockheed Martin is laying off all of its employees in the assembly department in Palm Beach County. There were reports of potential layoffs in April at the facility. The company said the decision comes from a lower demand by the U.S. government to build military aircraft. It wasn't until employees arrived to work on Tuesday that they learned their jobs would be phased out over a three-month period starting in October. 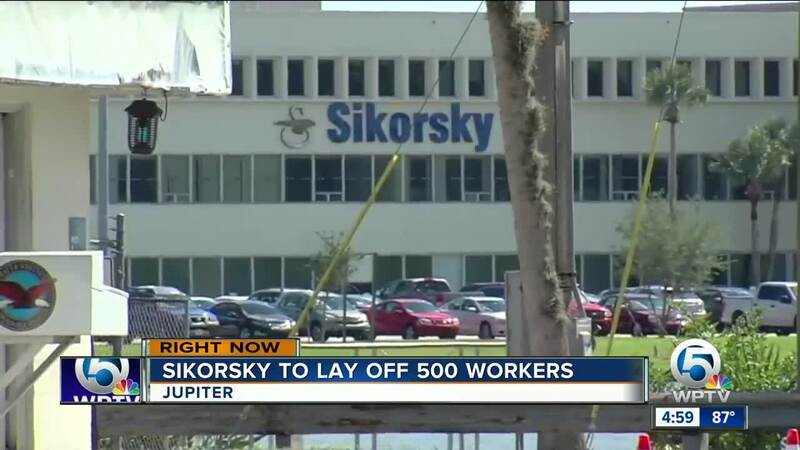 However, the 600 employees part of the development flight center will still keep their jobs in Jupiter. “Sikorsky informed employees today of a decision to consolidate operations to adjust to lower US Government aircraft demand, eliminate the resulting excess capacity, and protect our ability to compete by reducing cost. As a result, we will not renew the lease for the Florida Assembly and Flight Operations (FAFO) property in West Palm Beach and will vacate the building by year-end. We will continue to operate the Development Flight Center on the same campus. Additionally, approximately 150 salaried employee layoffs will occur throughout the company by year-end as a voluntary separation package offered to salaried employees in June did not yield the expected number of applicants. These two actions combined will impact 5% of the Sikorsky workforce. These decisions are always very difficult but necessary to ensure we can deliver affordable products for our customers to complete their missions." Kelly Smallridge, from the Palm Beach County Business Development Board told WPTV there's roughly 1,300 companies within the aviation and aerospace industry in Palm Beach County and several of these companies are hoping to hire the men and women who were laid off. The union that represents most of the employees who are being laid off said for the past several months they were told layoffs were coming but didn't expect the entire division in Jupiter to be shut down. “The company notified me that this is how many we are laying off and it was going to happen June 29th and the number was 120, and then shortly after it was like, 'we are going to get out of here at the end of the year and I was like what? '” said Teamsters Local 11500 board member Rocco Calo. A Facebook page shows a meeting is scheduled in Palm Beach Gardens for any employees wanting to discuss what's next and look into their options. CLICK HERE for details.